For more by or about Marta Harnecker, click HERE. April 17, 2015 -- Links International Journal of Socialist Renewal -- This text incorporates much of booklet #2 from the original series Cuadernos de Educación Popular (Booklets for Popular Education), which was titled “What is socialism?” and was written by Marta Harnecker in collaboration with Gabriela Uribe. This series was published in Chile during the Popular Unity government, lef by Salvador Allende, and was reprinted in various countries and languages. The text has been revised, some errors have been corrected, and supplementary examples and text boxes have been added, in order to make it easier to comprehend some of the complex ideas it tackles. In this Booklet for Popular Education we hope to study the fundamental mechanism that explains why, under capitalism, you have a small group of people who possess a lot of wealth and enjoy an easy life, while a significant portion of workers find themselves in a very difficult situation. Discovering the true causes of capitalist exploitation is not an easy task. 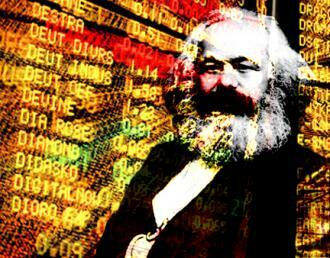 A German scientist named Karl Marx carried out this work in the 19th century. This researcher wrote several volumes on the topic in his masterpiece: Capital. Drawing from Marx’s contributions, workers and peoples from around the world have been able to learn about these causes and prepare themselves better for fighting against this inhumane and perverse system. This text is based on his ideas. What we will present is not easy to understand. The topic has many nuances. Unfortunately, many educational presentations oversimplify things, leading readers to not truly understand the essential aspects of Marx’s arguments. For that reason, we have decided to proceed step by step, from the simplest to the most complex issues. We will do so by first asking questions and then going on to answer them. It would be a good idea if the people collectively studying this material paused after each question and tried to answer them before moving on to the next one. Continue reading on screen below, or download the full booklet HERE.